A good barbecue doesn’t have to be all about meat. Vegetables can add a great deal and can be enjoyed by vegetarians and meat eaters alike. 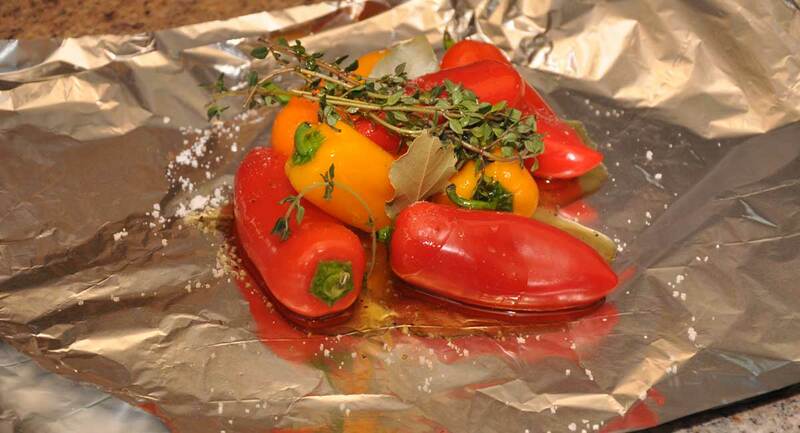 Peppers and onions can be cooked directly on the barbecue and others like tomatoes and potatoes, wrapped in foil. Sweet potatoes make a great alternative to normal potatoes and are sweet and delicious. Roasted peppers, ,Simple to make, roasted peppers are absolutely delicious and can easily be made with whatever selection of peppers you have in the fridge or larder, try making them with seasonal peppers for added flavour. 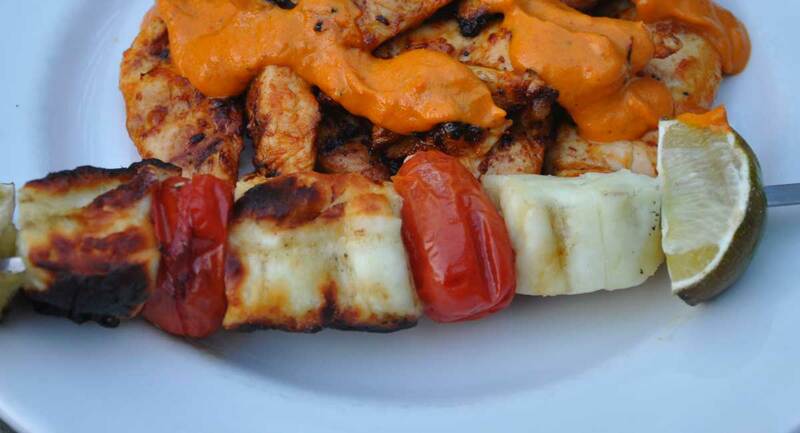 Haloumi kebabs, ,This is a great tasting dish for both vegetarians and non-vegetarians alike. Haloumi cheese cooks nicely on a barbecue but it can easily overcook - so keep an eye on it! Potato salad,,A delicious recipe for potato salad - just miss out the bacon if you want it to remain vegetarian. Adjust the quantities as required if you want more. 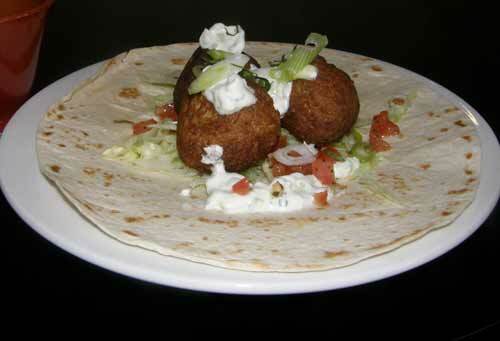 Falafel, ,Although not really a barbecue food falafel are ideal as a starter and can be served piled on a plate with a dip such as tzatziki or wrapped in a tortilla with salad and tzatziki. A perfect party food. 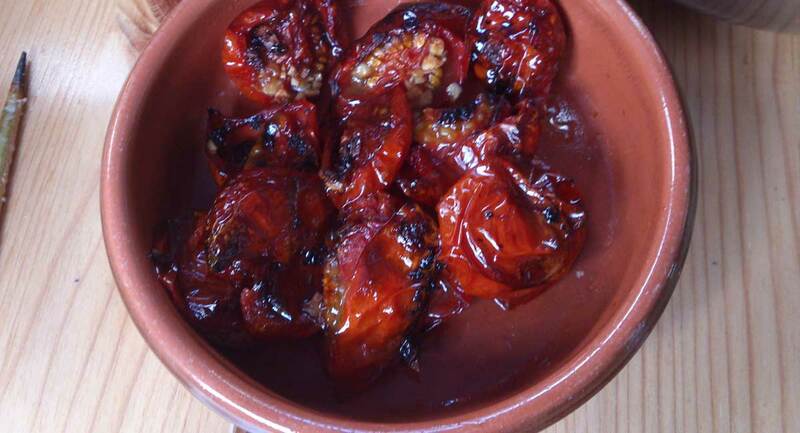 Roasted tomatoes, ,These tomatoes are extremely tasty and a great accompaniment. I have used cherry tomatoes but it will work as well with any kind of tomato. 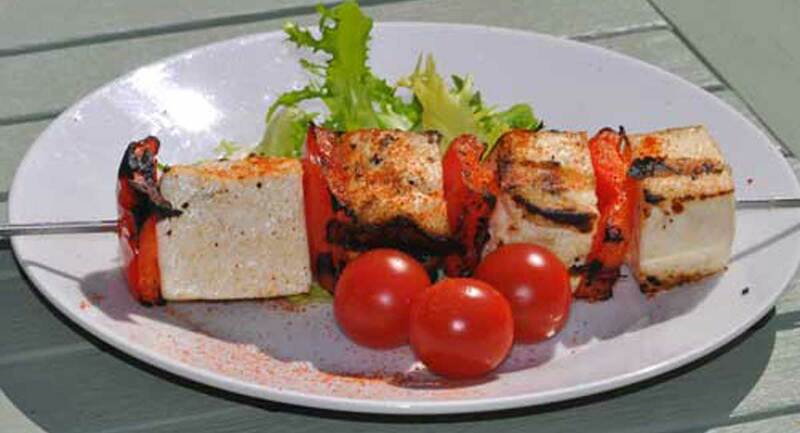 Paneer kebabs, ,Paneer is an Indian cheese which is particularly good for cooking on the barbecue. It's soft texture allows it to thread onto skewers easily. Aubergine, pepper and cheese stack,,This dish looks good as well as tasting good. Great for parties where presentation counts. Use vegetarian cheese if you want it to be a truly veggy dish. 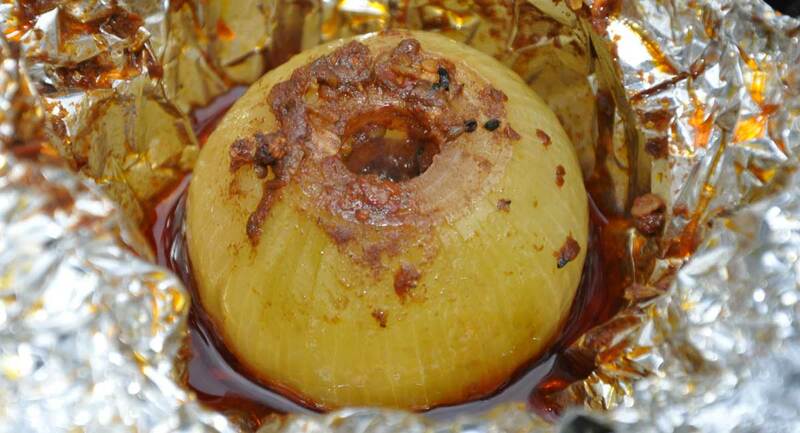 Roasted Sweet Potatoes, ,Most people are familiar with potatoes wrapped in foil and thrown into the coals. 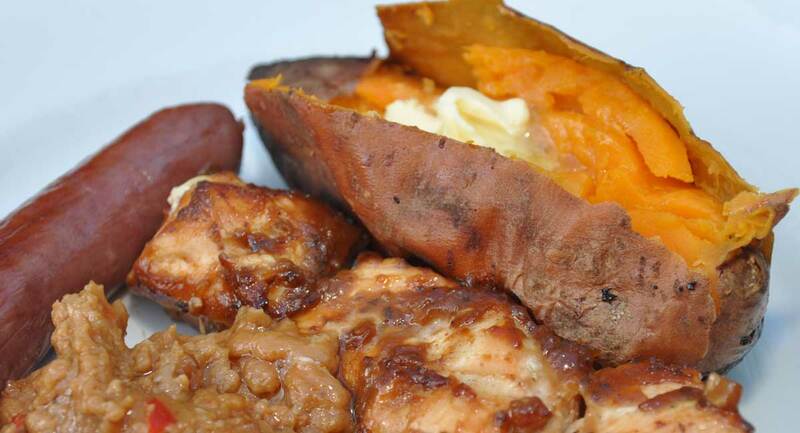 Sweet potatoes take this to another dimension - and they are healthier for you.